The error that i have come accross is Direct X related and is 2 different DLL files that are missing D3DCompiler_43.dll and also D3DCompiler_42.dll, as per image below. to me twice in the last 2 days the first time being the 42 dll and the second being the 43 dll. 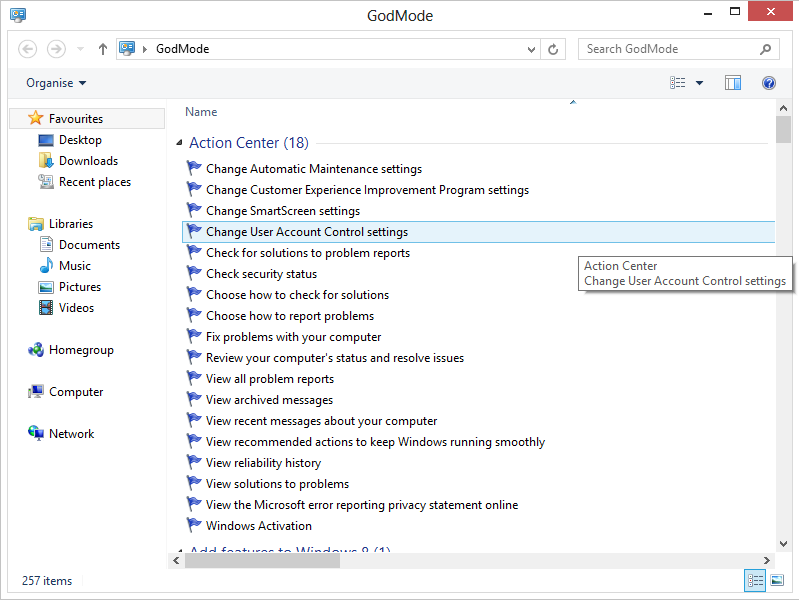 Like in Windows 7, you can also add the God Mode Shortcuts to your desktop in windows 8. God Mode gives you more than 230 shortcuts, all the control panel and setting items that you have on your computer. 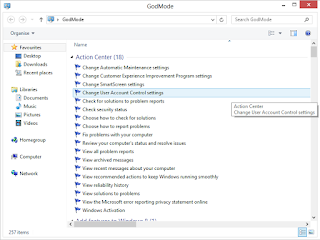 Follow the steps below to add God Mode to your computer. 1. Create a new folder anywhere on your desktop. Right click on your Desktop and create new folder. 2.Once created, rename the folder from ‘New Folder’ to this exact code, Including the words GodMode at the front. Once you have copied the text above press the enter key. The folder icon will change to the Control Panel Icon. Open up the shortcut to reveal over 230 items to chose from, all of which can be found in various ways from searching on the Start Menu or within the Control Panel itself.